This weekend I was in a baking mood. Though it was sweltering hot outside I still wanted to basque in a home filled with that warm sweet smell that only baked goods could provide. Also, I recently purchased some agave nectar and I was dying to use it. Agave nectar looks a lot like honey and is only mildly sweet. The best thing about agave nectar is that it ranks considerably lower on the glycemic index than honey, sugar, and even milk sugar (lactose.) What does this mean? It means that it slowly releases the sugar in your body over a period of time and will not cause a huge spike and consequental low in your blood glucose. This will also help you feel fuller longer, Win Win! What was the result of my baking effort? 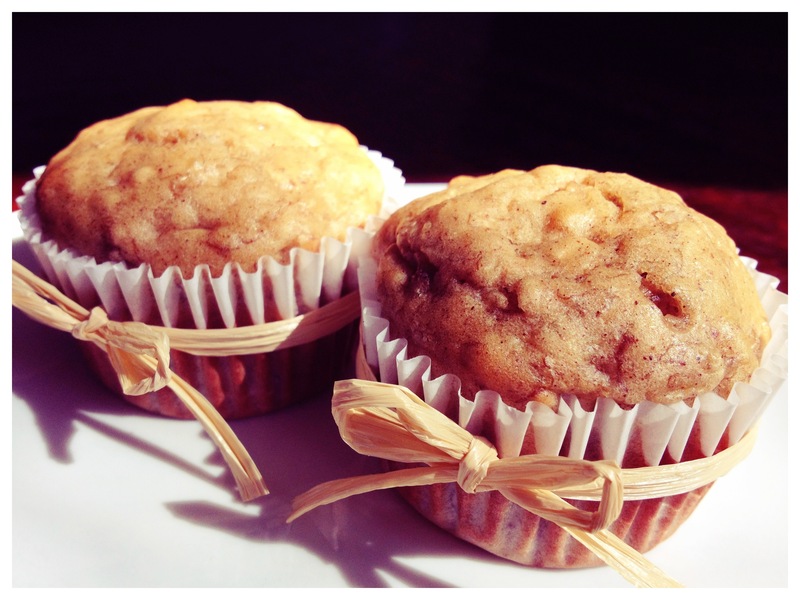 A trusty standard, Oatmeal Banana muffins. They are the perfect mix of hearty and light and sweet enough to satisfy your sweet tooth. YUM! Sift together the flour, baking powder, baking soda, cinnamon, nutmeg, and salt in a bowl then stir in oatmeal. In a medium sized bowl beat together the egg and eg white, vegetable oil, milk, agave nectar, and brown sugar. Add wet mixture to the dry ingredients. Mash bananas with a fork in a small bowl then add to the mix. Mix till combined and smooth. Pour batter into the pan and bake for 18-20 minutes. Insert a toothpick in center of a muffin to check if it is done, toothpick should come out clean.